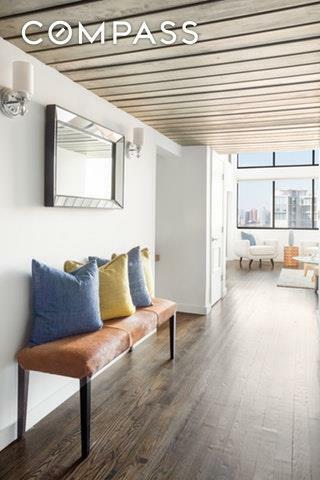 Masterful design and stylish comfort are exceptionally embodied in this 3 bed 2 bath loft in the West Village. Located in the heart of a highly coveted neighborhood, Unit 717 embodies impeccable quality. This loft boasts soaring double height 153 ceilings with oversized West-facing windows which bring in an incredible light and spectacular views of the Hudson River. 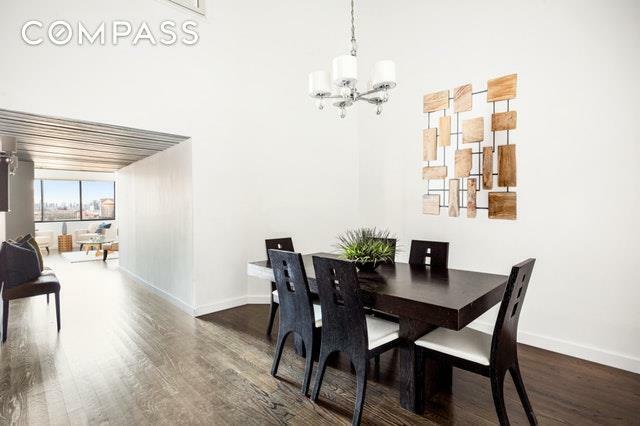 The first floor of the duplex has an open kitchen stylishly decorated with quartz counters and stone mosaic backsplash. Also on the first floor is a separate dining room, living room, bedroom, and full bath. First-floor bedroom can be used as an office or library, allowing the owner flexibility and many possibilities. As a nod to the buildings industrial history, the original metal front door and metal ceilings in the kitchen have been revealed and restored. Upstairs travels to the additional 2 bedrooms, bathroom, and huge walk-in closet. The spacious master suite overlooks beautiful direct river views. The upstairs bathroom is rigged with double vanity sink and deep soaking tub. The other bedroom contains an entire wall full of closet space. Not to mention, you can also find a huge walk-in closet on this second level. Additional amenities include central heat and air conditioning, stained oak hardwood floors, custom electric Hunter Douglas blinds and a stackable Bosch washer/dryer. The Printing House is an iconic and highly sought building in the West Village. The building has a 24-hour doorman, valet cleaning service, private and bicycle storage (available for rent), central laundry room, and a flagship Equinox Health Club with an outdoor rooftop swimming pool and terrace. 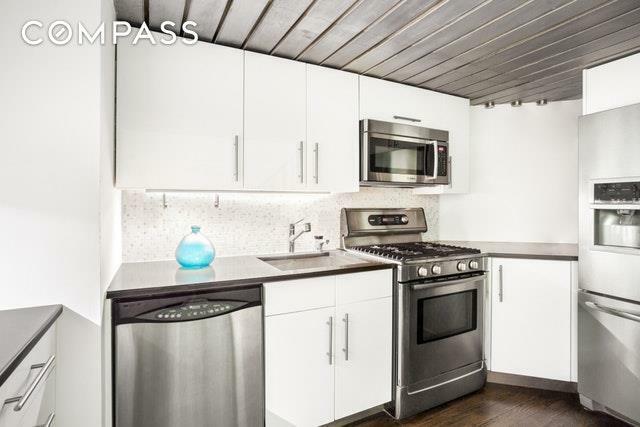 This hassle-free building has extremely low common charges and real estate taxes, which make this Unit perfect as a primary home, investment property, or pied-a-terre. Listing courtesy of Nikolay Afanasyev of Compass.